From high intensity training to losing weight over the Holidays and working out with your pooch, the 12 experts participating in the “12 Days of Fitness” tour have you covered. There is more than one way to get in shape and lose weight. There is more than one way to get fitter. The secret sauce to living a healthy, happy life? Find what works for YOU. Trekking up mountains all day with 40 pounds on your back isn’t quick or easy, but it’s immensely rewarding, sheds fat and builds muscle. 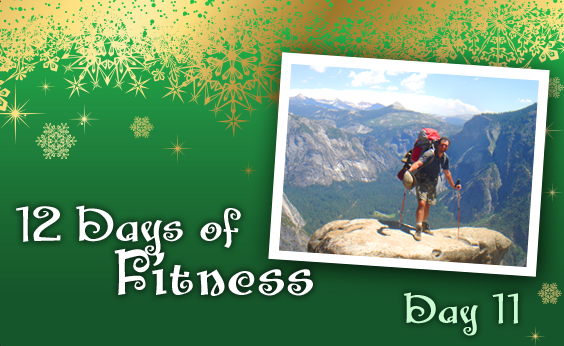 Steve Silberberg is the expert behind Day 11’s tips on how to exercise in the great outdoors, with nature literally at your feet. You don’t always need to go to the gym to get in shape. Let’s see what Steve has to say on the benefits, challenges and fat loss rewards of hiking. Backpacking offers a variety of rewards that regular exercise programs might not. 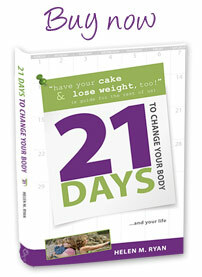 Sure, there is the weight loss and body composition change. How can you not build muscle and lose fat by carrying 40+ pounds on your back 50 miles through the mountains? Plus when you’re backpacking, you can only eat the food you’re carrying. If you don’t pack chocolate bars, you won’t have any to eat, so you can decide ahead of time to bring only healthy meals. Long hikes give you plenty of time to process emotional and mental baggage that you seldom get to address because work or family or other responsibilities are always in the forefront of your mind. The all-day physical outlay brings you to a state of fatigue that office workers hardly ever experience. Sleep becomes quite easy and restful. Sometimes the goal is a thru-hike. On a recent Fitpacking trip, our group hiked the entire 50-mile Batona Trail in the New Jersey Pine Barrens from end-to-end. There is something very satisfying about completing such a journey. I started Fitpacking because I spent many sedentary years at a desk in an office setting. When I went on backpacking vacations, I noticed that when I returned, I felt great and my clothes fit better. So I figured this was something I could bring to others. These days, my not-so-secret hidden agenda is to introduce people to the wilderness (who would otherwise never even consider going) under the guise of weight loss, all the while hoping they will love it and be inspired to protect it. 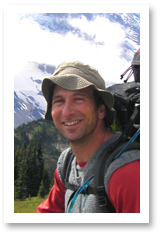 Steve Silberberg is a SOLO certified Wilderness First Responder, Leave No Trace Trainer, Certified Food Handler, possess a New York State Guide License and is a graduate of the Gila Wilderness Outdoor/Guide School. He has a wide variety of backpacking experiences over many terrains and guides most Fitpacking trips, helping people get fitter and lose weight while enjoying nature. Visit him at www.fitpacking.com.